Recreational use of hot tubs, spas and whirlpools has increased significantly in the last 40 years. The Association of Pool and Spa Professionals reports there are approximately 335,000 hot tubs in Florida, with more than 9,000 new ones installed each year. Although hot tubs and spas can provide relief for achy muscles and relaxation for those who need to destress, they can also be the source of serious injury, disability and even death. One study published in the American Journal of Preventative Medicine estimated 82,000 non-fatal injuries were treated in hospital emergency rooms in the U.S. for hot tub, whirlpool and spa-related injuries, and there was an increase of 160 percent of these incidents over the 18-year study period. Injuries went from about 2,500 annually to more than 6,600. 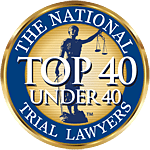 Associates and Bruce L. Scheiner, Attorneys for the Injured, our Fort Myers injury attorneys fight for victims of hot tub accidents and injuries to help them obtain the compensation they deserve. Drowning. Although we don’t typically think of hot tubs as posing the same kind of risk of drowning as do pools, it should be noted a small child can drown in just two inches of water. Even older children, teens and adults can drown in very little water if they suffer a medical episode or if they become trapped or suffer electric shock while in the water. It should be noted that the Residential Swimming Pool Act, which sets forth guidelines about certain barriers to prevent children and those with medical frailties from accidentally falling or entering the water and suffering injury, applies to any structure intended for swimming, recreational bathing or wading with 24 inches or more of water. That means hot tubs, pools and wading pools are subject to that regulation as well. Electric shock. If electrical equipment is too near to the water or if you enter or remain in the water during lightning storms (notorious in Florida), you may be at high risk for electric shock. Drain entrapment. Drains can pose hidden hazards, and suction defects can cause people to become entrapped or entangled underwater. The Virginia Graeme Baker Act, signed into law in 2007, mandates specific performance requirements for spa drain covers available for purchase in the U.S. These entrapment protection standards, as spelled out in ASME/ANSI A 112.19.8 requires at least one safety feature, such as a suction-limiting vent system, gravity drainage system or automatic pump shut-off. Chemical exposure. Although chlorine is used to disinfect pools, keeping them relatively free of bacteria, it can also be extremely hazardous. One recorded incident in South Florida involved five children sickened by a cloud of chlorine gas that resulted when two indoor pool pumps shut off after the breaker tripped during an earlier thunderstorm. The pump that infused the chemicals into the pull continued to run, while the pump circulating the water shut off. The mixture filled a pipe and was released into the pool when the owner repaired the breaker. Exposure to bacteria. There are numerous bacteria that can cause serious and potentially disabling infections. Bacteria thrive in warm, moist environments – and hot tubs, spas and whirlpools are both. Legionella bacteria can lead to Legionnaire’s disease, a severe form of pneumonia. Pseudomonas can cause serious skin, ear and eye irritations. Nontuberculous mycobacteria can cause lung infections. In hot tubs, when the jets are turned on, these bacteria can become aerosolized, making it more likely you will breathe them in. Defective heaters. These may cause potential carbon monoxide poisoning. Slip-and-fall risk. In hot tubs, there is a high risk of slippery surfaces while entering and exiting the tub, as well as while walking around it. Manufacturers as well as property owners have a responsibility to ensure the stairs and walking surface around the tub have enough traction that such risks are minimized. High water temperatures. Although people enjoy a warm soak, water that is too hot can pose a risk of burns, but also could trigger a medical episode. Such incidents can lead to burns, traumatic brain injuries, spinal cord injuries, brain damage and death. Because of the severity of injuries associated with hot tubs and spas, it’s imperative to discuss your legal options with an experienced injury lawyer in Fort Myers. It is possible more than one person or entity could be liable, depending on if there were defects in the design of the product or whether there was an error in manufacturing or if the property owner was negligent in supervising or maintaining the pool area.